Just hours before the tanks and armored personnel carriers clattered and blasted their way down Changan Avenue and into Tiananmen Square on June 4, 1989, loudspeakers in the square crackled into life, and, as in Auden's "The Shield of Achilles," a "voice without a face" began repeatedly to declare, "in tones as dry and level as the place": Go home and save your life. Edwin M. Yoder Jr. is a native of Greensboro, North Carolina, educated at the University of North Carolina (Chapel Hill) and Oxford University, England, where he was a Rhodes Scholar. 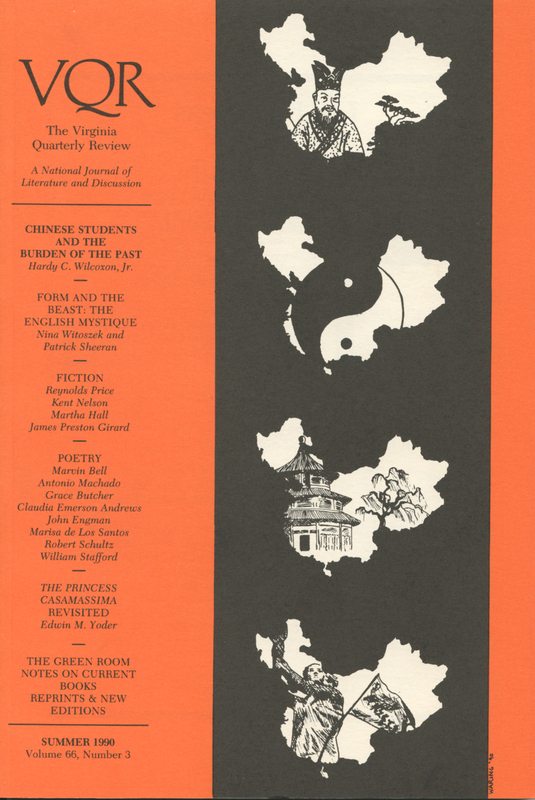 Hardy C. Wilcoxon has resided in China and Hong Kong and wrote about Vietnam for VQR following his time there. A graduate of Amherst and Yale University where he received his M.A. and Ph.D.